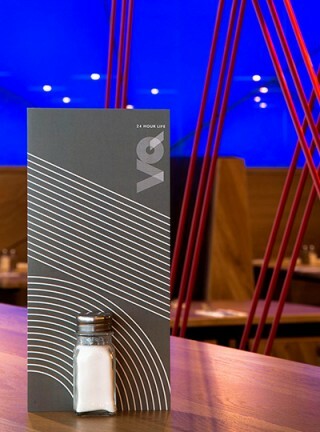 If you’re after a spot of pre-theatre dinner, early morning breakfast or have middle-of-the-night munchies then VQ is your answer. 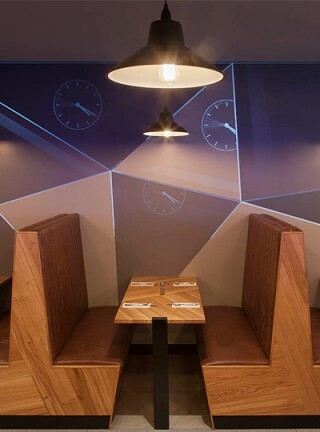 Open 24/7 the Bloomsbury café and diner is the West End branch of the long established and much loved Chelsea spot. Located on the ground floor of the St Giles Hotel, the self-contained restaurant space has a 45ft glass front adorned with attention grabbing VQ signage that’s washed with colour-changing LEDs. 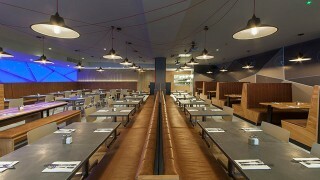 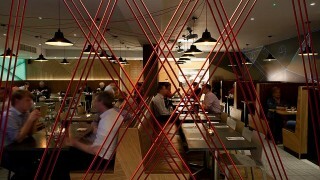 The interior’s modern and stylish with a slightly industrial feel that’s welcoming, fun and relaxed. The lighting design scheme was kept mostly neutral in support of the architectural aesthetic and to appeal to the eatery’s wide demographic. 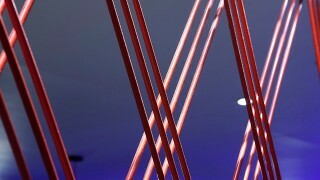 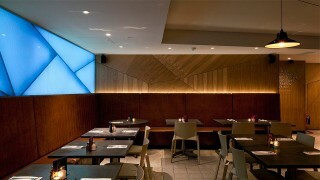 Putting neutrality aside, one of our favourite bits was the bespoke video projection wall. It reinforces the 24-hour life, with textured glass and triangular faceted panels displaying constantly changing imagery of London living – very apt. 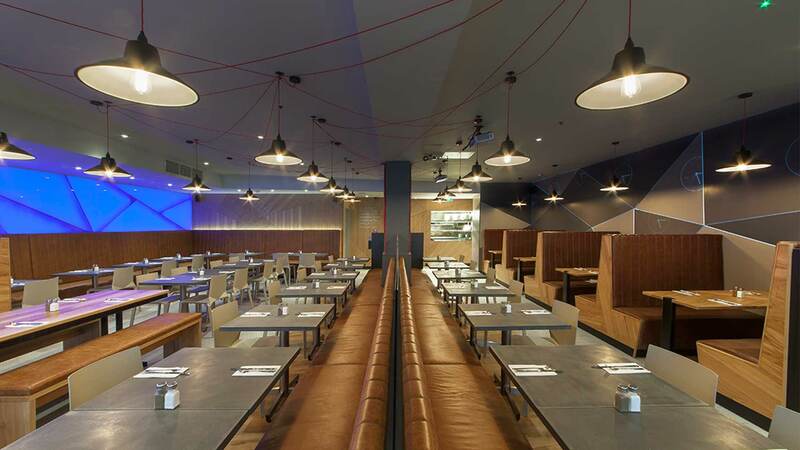 Because of the restaurant’s all day everyday setup the architectural lighting design solution had to be flexible achieving the right ambience no matter what time of day, so we installed a lighting control system to achieve this. The scheme is easily maintainable and low on energy consumption – the place never closes, so costs are understandably important. 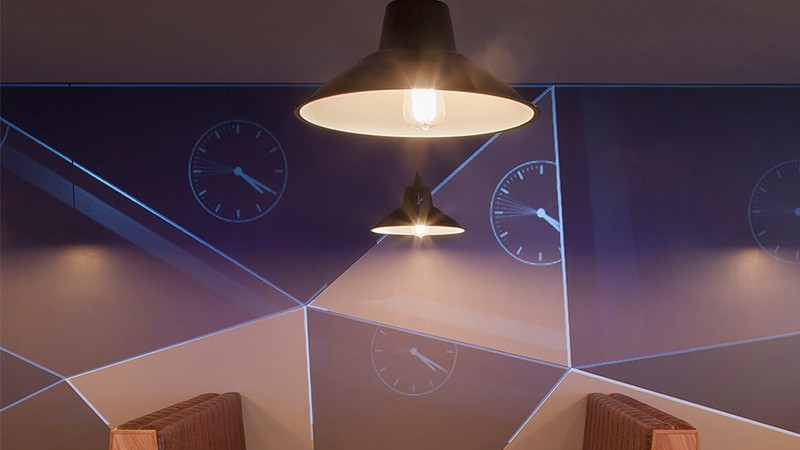 Dynamic features like the colour-changing LEDs washing the Perspex signage and digitally programmable LED wall. 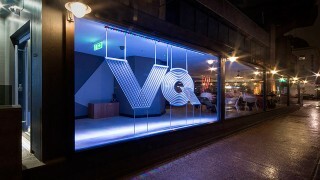 It reflects the concept of time and movement well - especially fitting as the restaurant's open 24-hours in one of the most vibrant and fast-paced cities in the world.